Ian Nathan who has worked on other amazing Vault collector books such as Alien, has put out one of the best ones to date, Terminator. 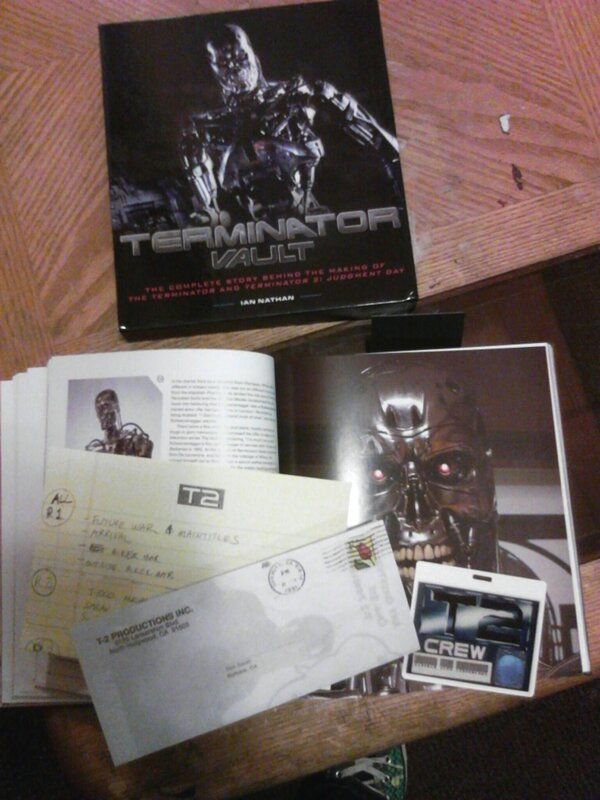 His new book is a great guide thru the film making process of the first two Terminator films. Previous books have been made mostly based on T2 this acts like a museum with cool little tied bits you can go over along with reading it. It has an introduction by Arnold himself. At the end they briefly touch apon T3&4. They break it down like a history lesson starting with James Cameron’s early career as a film maker working for Roger at New World Studios. The book uses a lot of lost material for collectors of the film it self. Rare photographs and designs never before published. 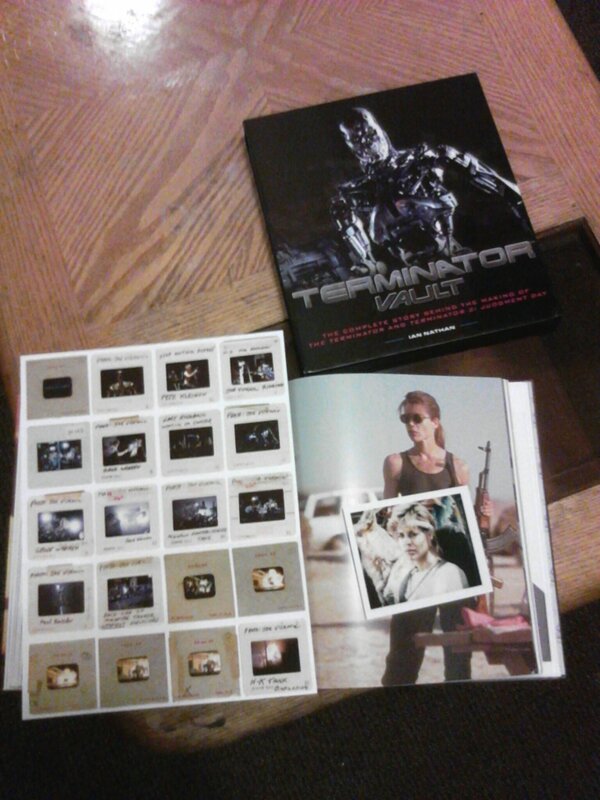 The cool little extras you get include a copy of the picture taken of Sarah Connor at the end of the first film. Memos from the studio about casting. A invite to the press screening of the film. Original poster art work prints and story board conception layouts. Its hard bound in a slipcase with full color images that really stand out. When I met Robert Patrick at Rock and Shock in Oct and told him about the book he was amazed and really enthusiastic and wanted to see one. This is a great collectors item for fans of Cameron the Terminator genre or film buffs in general.